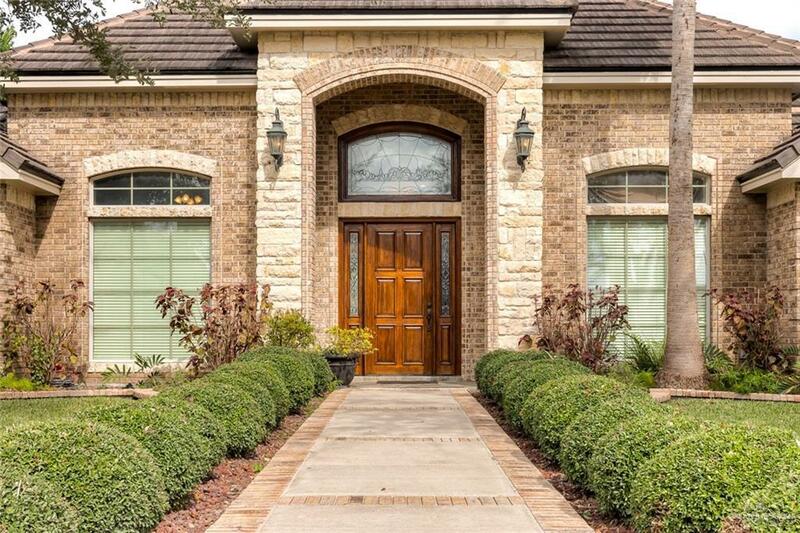 You'll stand out in this 3328-SF brick home on .279 acres in Via Cantera in North McAllen. 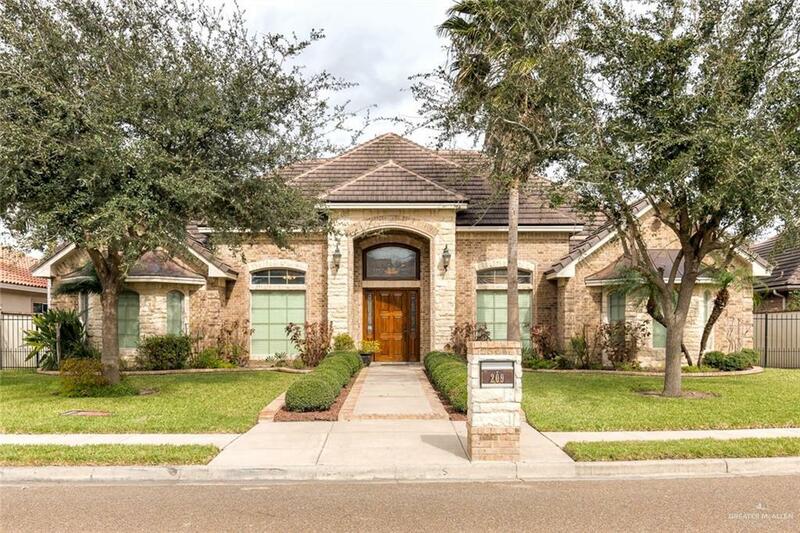 Great features include 4 bedrooms, 3 bathrooms, master suite with walk-in closet to quickly find your clothes, separate shower, dual sinks, graden tub for relaxing nights. The home also features a large dining room with wood floors, a grand living room with tile floors and brick archways, a magnificent kitchen with gas range, bookshelves for your favorite recipes, microwave, wall oven, dishwasher, large breakfast bar and work island, and beautiful stone countertops. There is also a home office with wood floors, in-ground pool and hot tub, and fenced back yard with motorized gate.